Built 1928 by J. H. Pontin. Opened 6 January 1929 with a concert. Named in honour of the mayor of Regina, Francis Nicholson Darke. 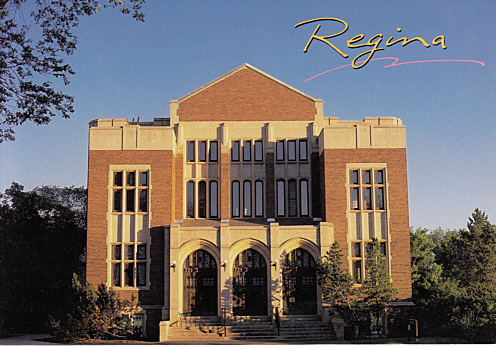 Until 1970, home to the Regina Symphony Orchestra. 2016 restorations. Used as main performance venue of the Conservatory of Music at the University of Regina. 610 seats. Reverse Text: "Regina. Darke Hall, Performing Arts Theatre"